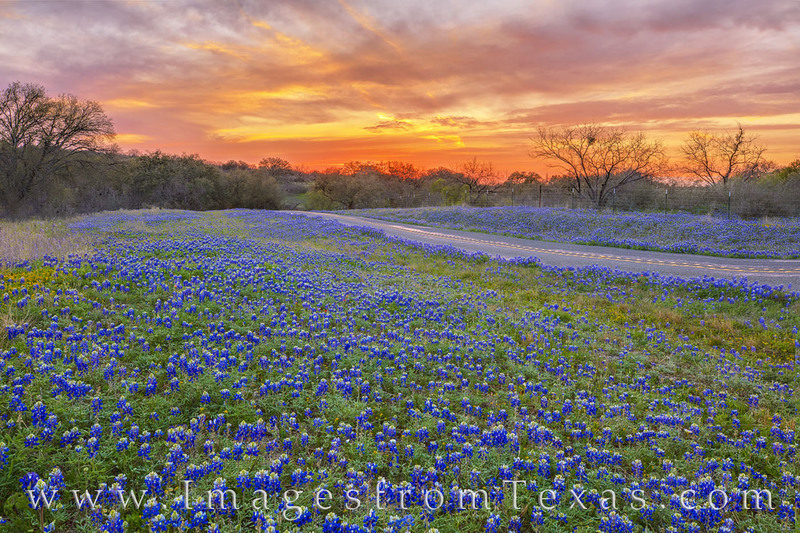 On a lonely stretch of road between Llano and Castel, bluebonnets filled in the roadsides and ditches on a cool late March sunset. The sky lit up a in a beautiful orange glow as the the road carried my view down the hill and onto the next bend - always wondering what is next on these backroads of the Texas Hill Country. Photo © copyright by Rob Greebon.